A small fire extinguisher might be your lifesaving device. This 2 1/2 lb. 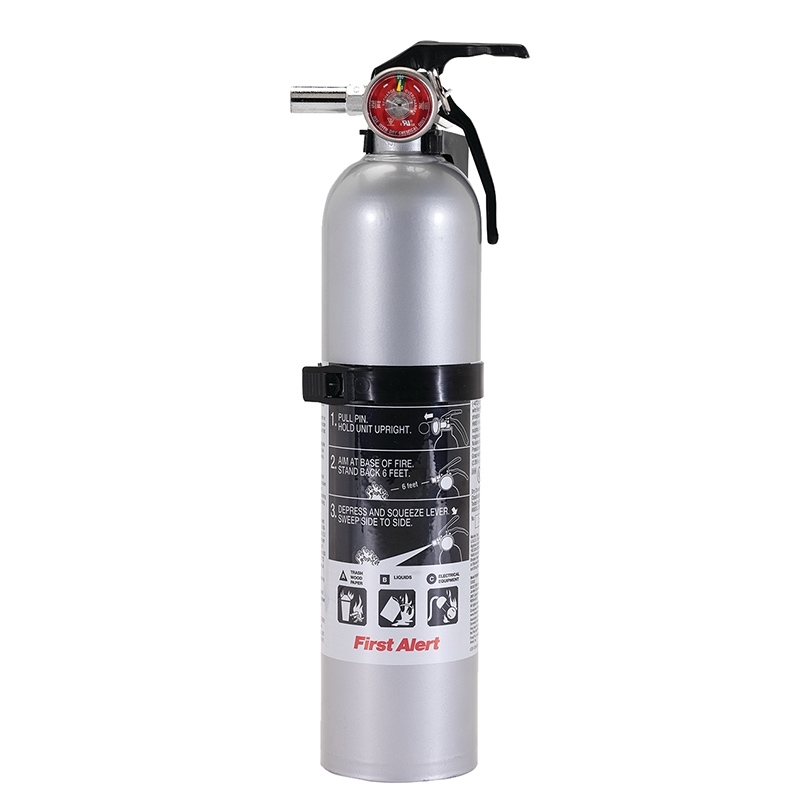 fire extinguisher is both durable and easy to use. 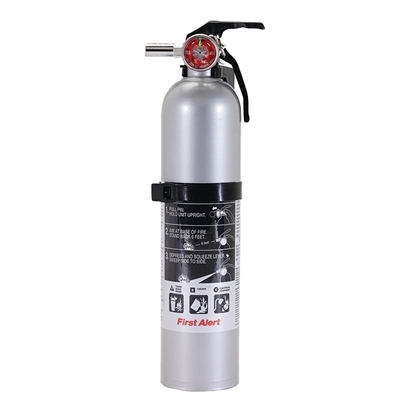 The sure-grip handle and small operating lever ensure even small or weak hands are able to operate the extinguisher in an emergency. Meets OSHA requirements, DOT and USCG standards. Dimensions: 14 1/2" H x 4" x 3 3/4".